The CoffeeShop Blog: CoffeeShop Frame 2! perfect for posting on blogs and websites. Colors are completely adjustable and you can use my CoffeeShop Group It action to quickly load your image. When you open the Frame 2 file you will see 4 layers. Group your image above the Clipping Mask (tutorial). 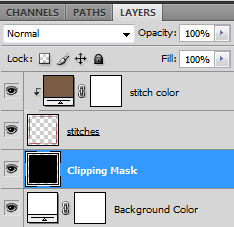 Double-click on the stitch color layer's brown square to change the stitch color, and double click on the Background Color layer's white square to change the white background color. 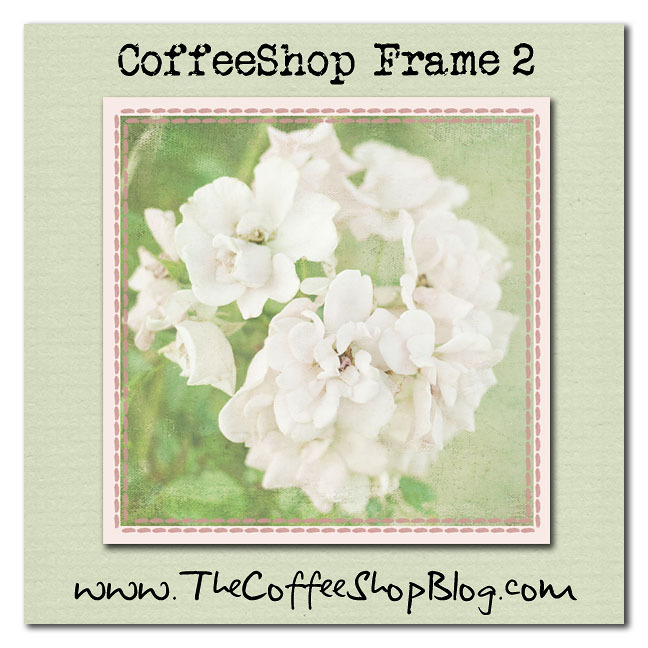 Download the free CoffeeShop Frame 2 HERE and HERE! Thank you so much!I have used the first one very much. So easy to use!